Mini Kouign Amann showing sugary top (left), crunchy bottom (centre) and light, buttery layers (front). Oh my dears, have I got a treat for you this week! The theme for Week 6 in this season’s Great British Bake Off is sweet dough, with a Showstopper Challenge of 36 sweet European buns. The contestants will probably have to bake 3 x 12 buns, each with a different flavour, but rather than rush through three recipes, I’ve decided to concentrate on what would have been my number one choice, were I competing – the magnificent Breton specialty, the Kouign Amann. To me, the name (pronounced ‘koo-een ah-man’) sounds very exotic, almost Arabic, but it’s actually from the native Breton language meaning ‘butter cake’ and couldn’t be more simple: a bread dough enriched with butter and sugar. There are several recipes floating around on the internet, but my choice was only ever going to be that of Madeleine Kamman – the best French chef you’ve (probably) never heard of. I’ve mentioned Madame Kamman before – hers is the recipe for Ratatouille that rehabilitated the dish back into my life after a good thirty years in the wilderness, and it can be found in her epic and invaluable The New Making of a Cook. Packed with clear explanations, occasional science and delightful anecdotes, if you’ve ever wondered ‘Why?’ in cooking, then this is the book for you. The recipes in the book evoke the very essence of each of the eight regions, but with the luxury of food availability in the 21st century, it is easy to reproduce them with the original ingredients specifid. Not that the recipes contain much that is either complex or exotic – many of them originate from times of hardship, when French women had to practice la Cuisine de Misère – the art of cooking with almost nothing. One of the first, and still one of my favourite recipes I made was the ‘Tarte aux Deux Choux’ – a tart of brussel sprouts and cauliflower – which sounds so simple – and it certainly was to make – but the flavours in the finished dish were incredible. 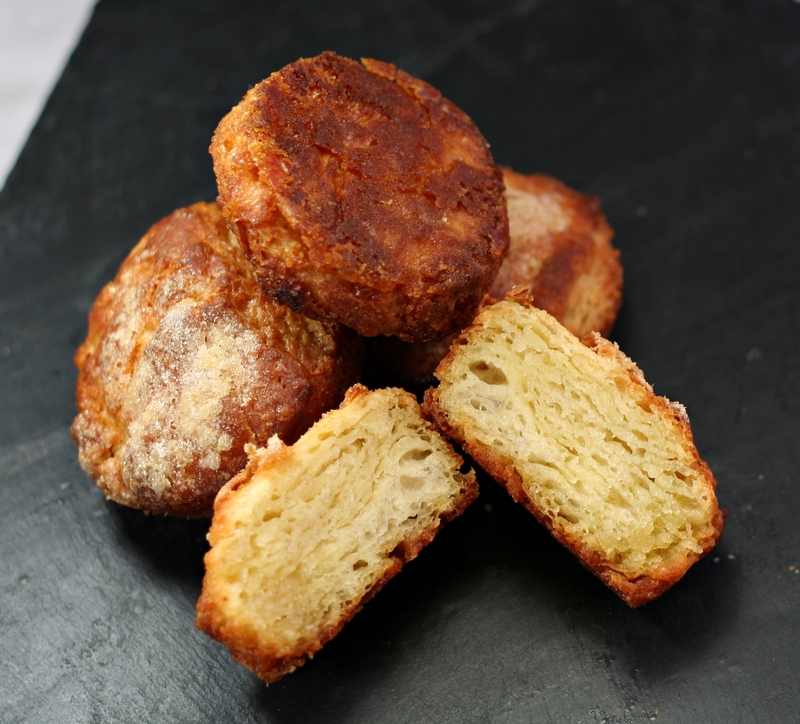 So how best to describe the taste of a Kouign Amann? It is similar to Danish Pastries and croissants, but sweet. The outside is deliciously crunchy and chewy, whilst the layers inside are soft and fluffy. For those of you familiar with regional British baking, it is a French designer equivalent of Lardy Cake. Now I love Lardy Cake (there’s a recipe in my book, she shamelessly plugged) – it’s delicious! But it is a whole world away from the buttery, crunchy, crisp confection of a fresh-baked Kouign Amann. The secret, of course, is in the butter, that pinnacle of Breton regional produce. If you look at a cheese map of France, you’ll notice that the region of Brittany is, surprisingly, quite bare of cheeses, because what the Bretons do best with their rich milk is make butter. It is possible to find butter from Brittany in the UK in some of the high-end supermarket chains, but you can also make this with regular butter, adding a scattering of fleur de sel or Maldon salt if liked. Madeleine Kamman learned her Kouign Amann recipe from the accomplished Loetitia (pp267-308), a native Breton and ‘one of the finest Breton cooks’. You can’t get more authentic than that. Apart from adjusting the size for cooking, I’ve not changed this recipe. You will need 9 individual foil pudding basins like these. Mix the flours, salt, yeast and orange flower water. Add warm water and mix into a soft dough. Knead for ten minutes and then shape into a disc 15cm across. Place on a buttered plate and lightly cover with greased clingfilm. Leave to rise until doubled in size – 45 mins to 1 hour. Pat the dough down and reshape into a 15cm square. Cover the butter top and bottom with cling film and bash thoroughly with a rolling pin to soften. As with puff pastry and other laminated doughs, when rolling out it is best to have the dough and the butter at the same temperature/consistency. Shape the softened butter into a 10cm square. Turn the dough so that it lies with corners top and bottom, like a diamond. 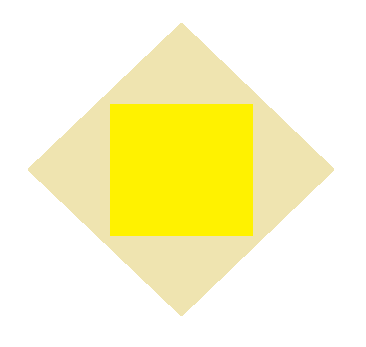 Place the butter square in the centre as per diagram. Fold the four corners towards the middle, covering the butter. Press the edges of the dough together to join. Roll out the dough until it is at least 30cm long, keeping it just 10-12cm wide. Sprinkle 1/3 of the sugar over the dough and roll the rolling pin over it to press the sugar into the dough. Fold the top third of the dough down and the bottom third upwards so that the dough forms three layers. Cover with cling film and chill in the fridge for 30 minutes. NB If you chill for longer, the sugar will begin to leech moisture from the dough, and turn to syrup, which will make the dough difficult to work with. Remove the dough from the fridge and place it in front of you like a book, with the fold lines vertical. Roll out as before, sprinkle 1/3 of the sugar and fold top and bottom inwards. Turn the folded dough 90° and roll out for a third time, sprinkling the last of the sugar and folding the sugared dough into thirds. Roll out for a fourth and final time, this time rolling it to about 40cm long. Fold the pastry in a ‘book fold’, that is fold each end to the middle, then fold again making 4 layers. This fold has the advantage of enclosing the sticky ends of the dough inside and making for a cleaner finish. Roll out the dough to make a square of at least 20cm. Cut the square into nine smaller squares (3 x 3). Lightly butter the foil pudding cases. Set one piece of dough in each pudding case, either tucking under the corners, or folding them upwards and towards the middle. Arrange the cases on a baking sheet, cover with cling film and set aside to rise for 30-45 minutes. Sprinkle the tops of each pastry with a little caster sugar and bake for 25-30 minutes until golden brown and crisp. Turn the baking sheet around after 20 minutes, to ensure even colouring. Allow to cool in the foil tins. Best eaten on the day of baking, preferably still slightly warm. To enjoy later, refresh in a cool (100°C) oven for 10 minutes first. A good quality Orange Flower Water is made by Nielsen-Massey. If yours seems a little on the weak side, feel free to increase the quantity accordingly.